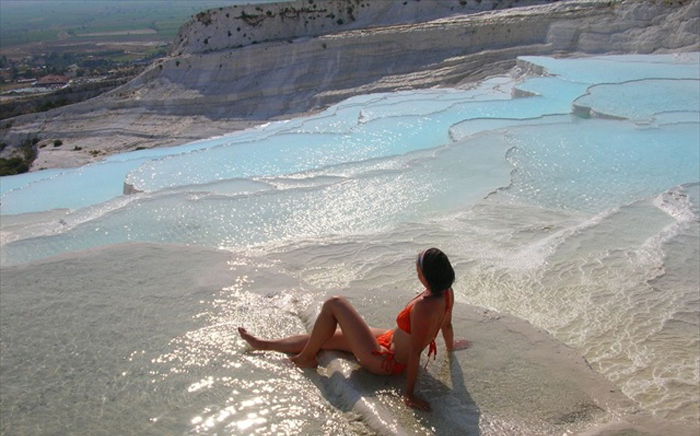 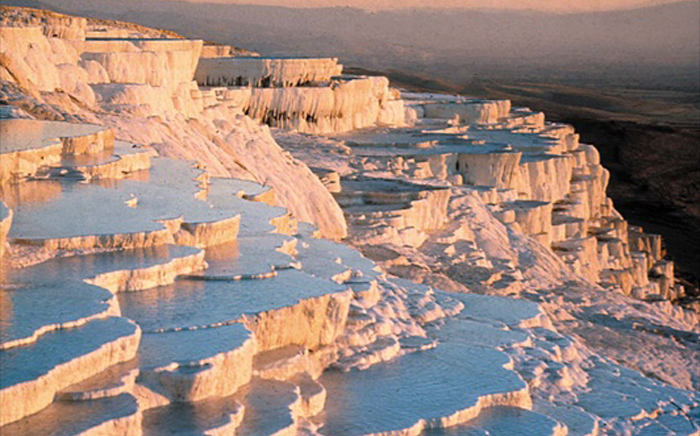 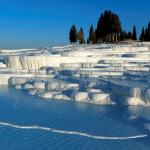 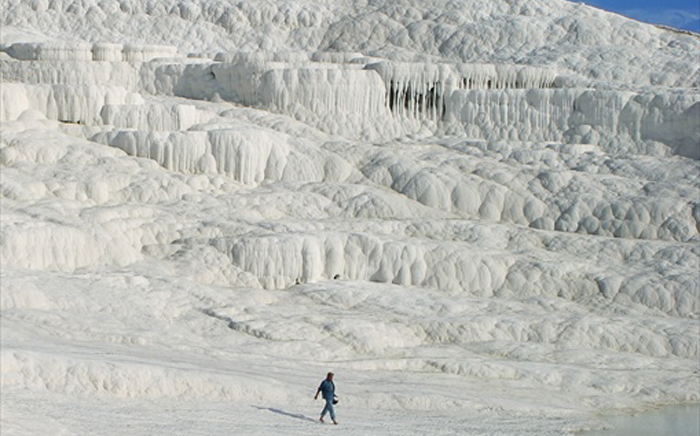 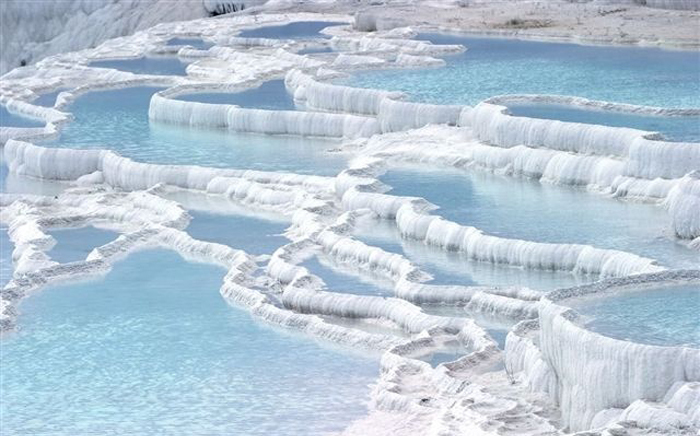 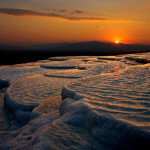 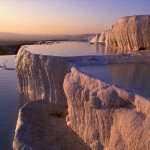 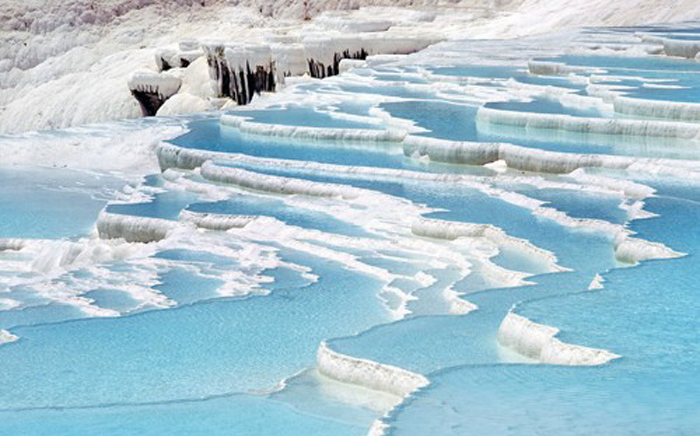 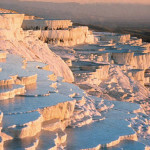 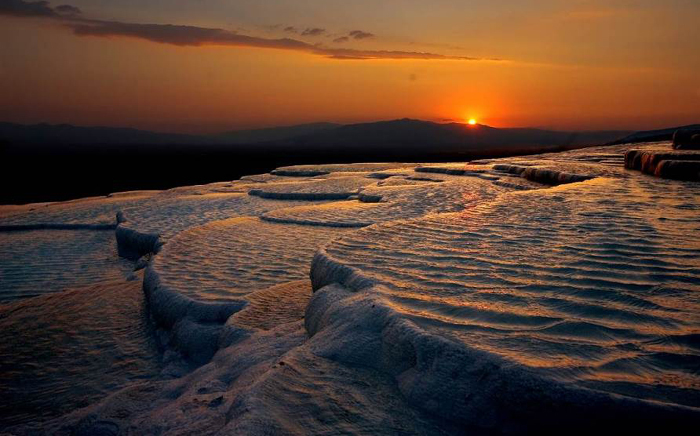 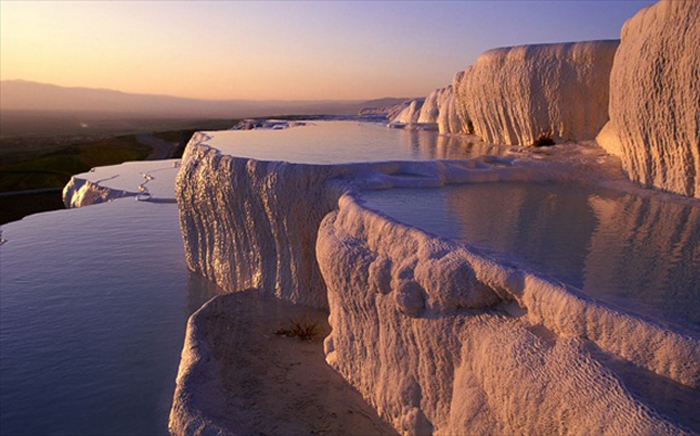 Pamukkale is a magnificent natural wonder, crafted to perfection by nature’s own forces! 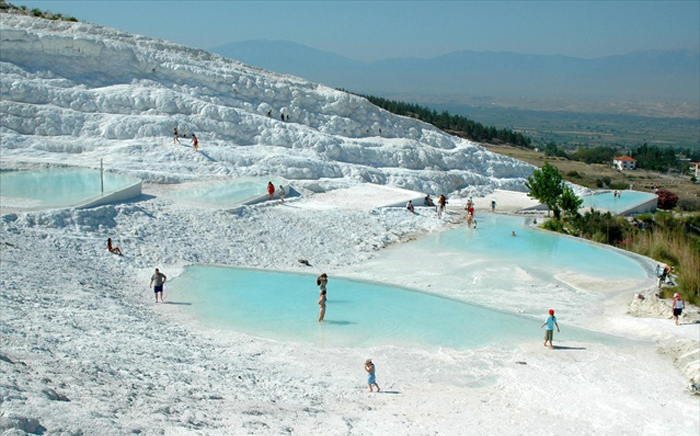 This unique tourist destination is about 3 hours from Marmaris when you travel by bus. 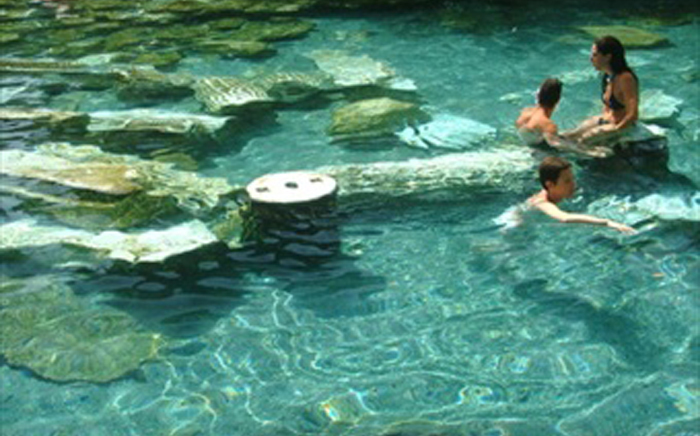 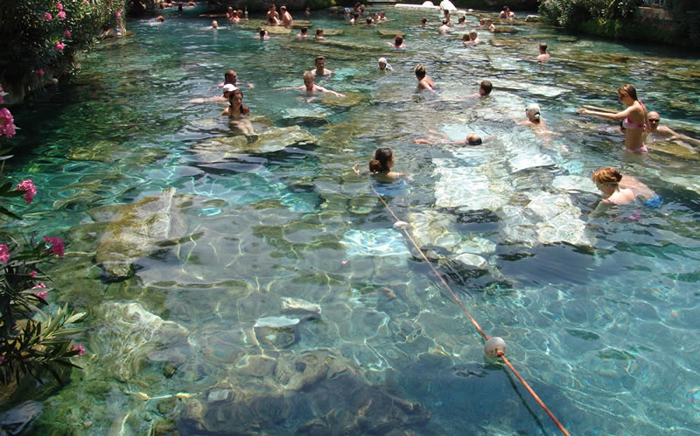 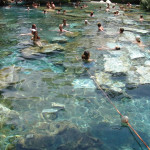 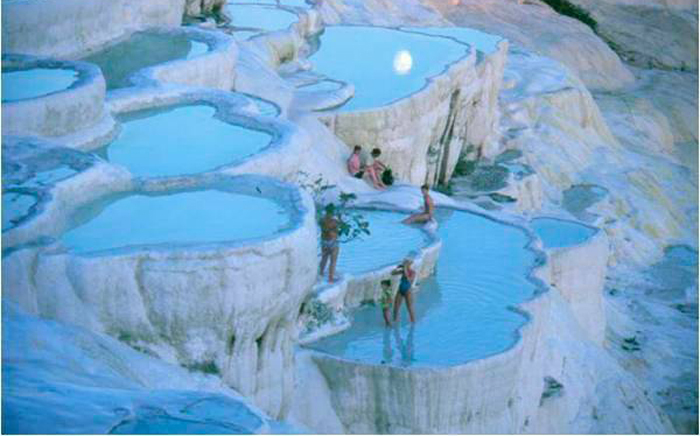 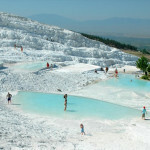 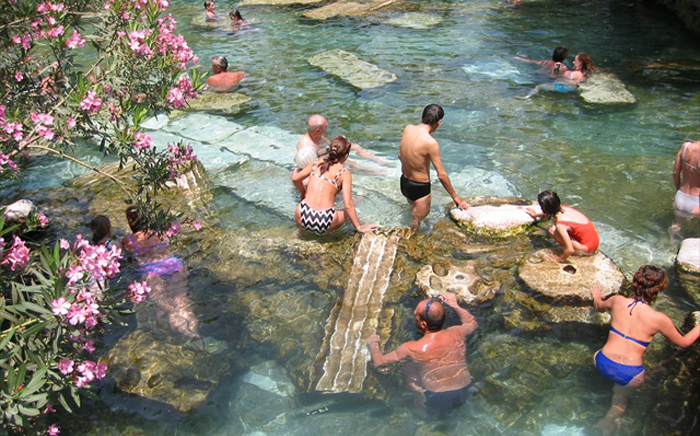 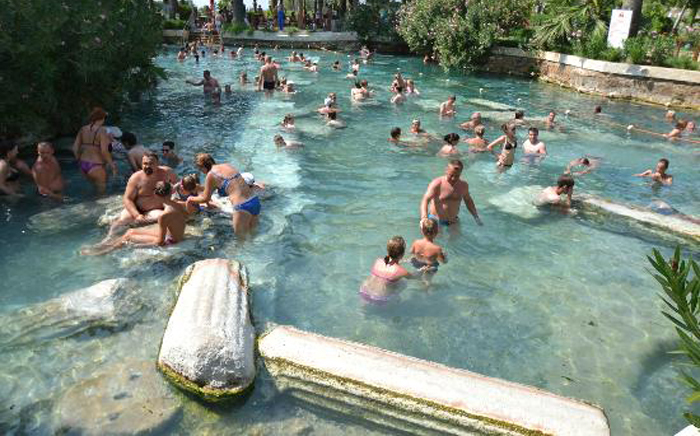 Marmaris Pamukkale Tour takes you to a place which is kids friendly, wet and exciting. 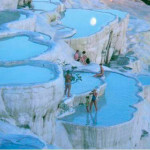 A lot of tourists come here to have a warm mineral bath. 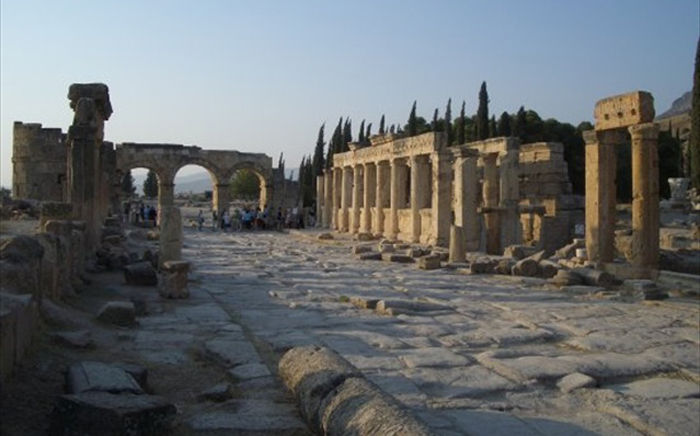 There are remains of old Roman cities not far from Pamukkale, for example, Hierapolis. 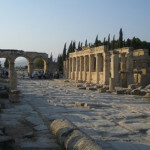 Once it used to be a very important religious, commercial, cultural spot. 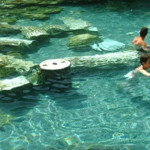 Even nowadays this place is under the influence of ancient pagan beliefs. 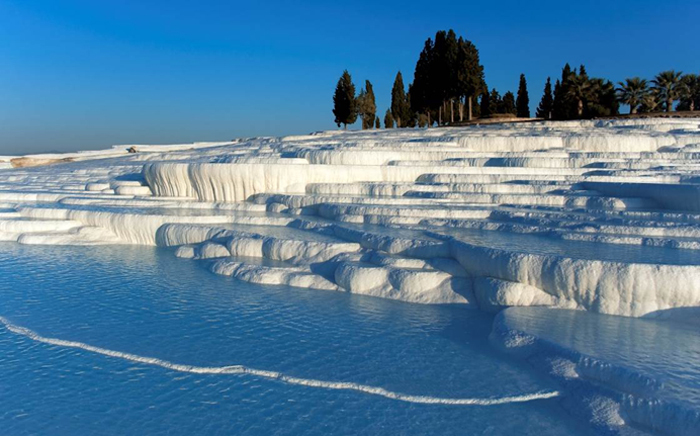 The pure White Mountain that you see is not ice; not even salt, but it is a mountain of baths gradually formed over thousands of years by mineral rich thermal springs. 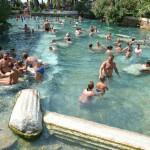 20:00 We arrive back to Marmaris and drop back to your hotel ..